NASA has performed tests at the Department of Energy‘s Nevada National Security Site for a compact nuclear power system built to support long missions conducted on Mars, Reuters reported Friday. The testing began November 2017 as part of NASA’s Kilopower effort in aims to provide energy capacities that will support human and robotic missions to performed on planet surfaces within the solar system such as Mars. The system employs a small compact-sized Uranium reactor designed to power life support systems, habitats, substance conversion equipment and other critical mission resources used by astronauts. 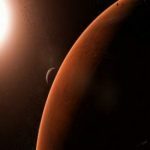 Lee Mason, principal technologist for power and energy storage at NASA, told Reuters that an astronaut mission on Mars is expected to use up 40 to 50 kilowatts. The report noted that the Kilopower effort focuses on Mars above the other locations aimed to be addressed.